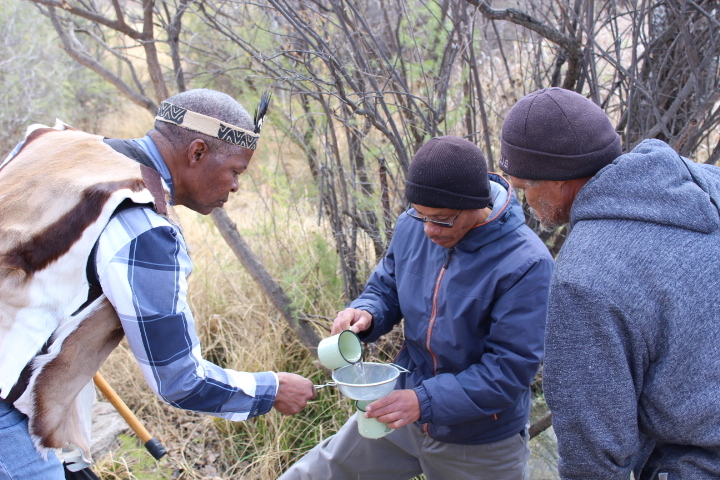 As part of Natural Justice’s work on Governance of Lands & Natural Resources, Lesle Jansen and Ivan Vaalbooi had a one day field visit to a farm termed, Bethany, situated about 100 km outside of Bloemfontein in the Free State province, South Africa. The farm forms part of a historical land claim this Griqua community secured during 1998. They form a community of under 200 people. 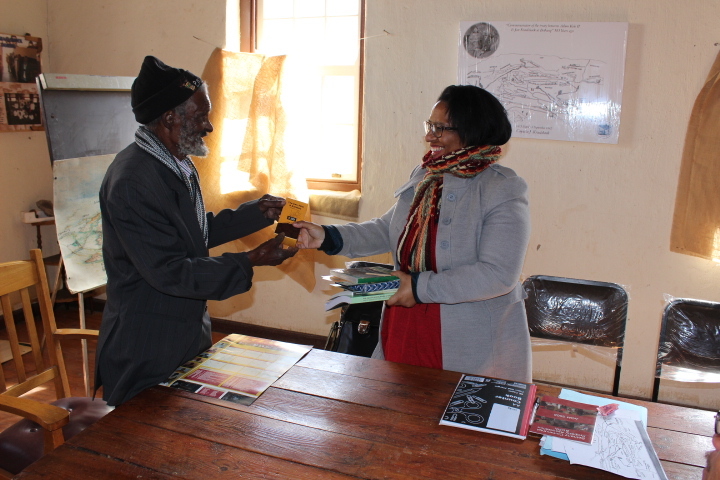 Their ancestral land was signed over by the Adam Kok Council to the Griqua indigenous community. The treaty was signed between Jan Kraalshoek and Adam Kok II during 1833 through a historic treaty. This community commemorated the 183 year of struggle for their enforcement of this treaty. 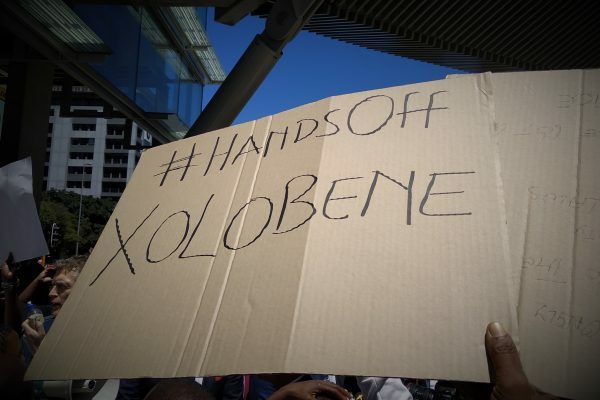 They have since faced systemic land dispossession through missionaries, colonialism and the apartheid system. They have been continuing the fight for recognition of their ancestral land as handed to them through their historic treaty. Natural Justice was hosted by a profound 82 year elder and leader of this indigenous community called Captain Kraalshoek. 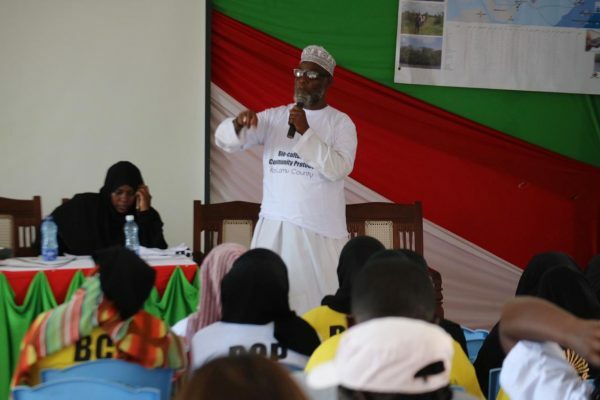 He is amongst many other things a humble leader and gifted painter who through his art captured his community’s ancestral lands with all of its historic landscapes and resources thereon. One of his historic painting contributed to the success of their restitution land claim they won during 1998. It is a water source rich area, and is strongly embedded in their Griqua sacred indigenous systems. Water holds a deep spiritual significance for the Captain and his people. 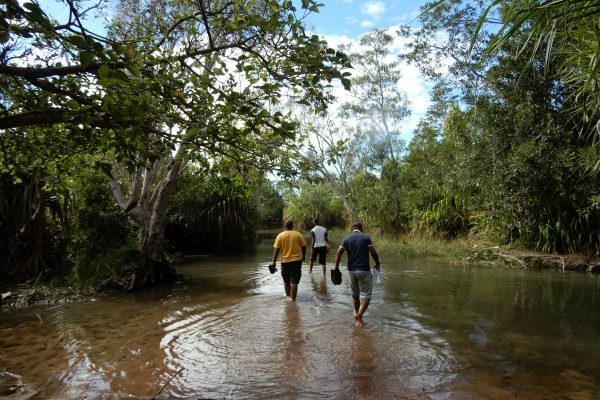 They manage their lands, gravesites, livelihoods and sacred ceremonies closely around their water sources and its spiritual significance. All their ceremonies start with their water and ends at their ancestors gravesites. 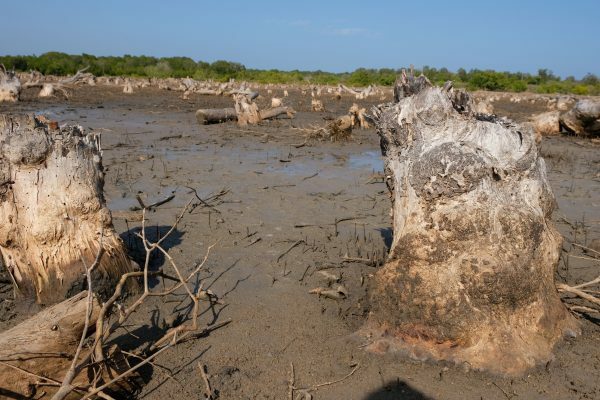 Water influences much of their decision making such as where gravesites are situated, where they live, how they conduct their lives, and where they place their livestock. Captain Kraalshoek calls their sacred water fountain: ‘Die fontein is die lewensaar van die mens. Dit is die oog wat die water uitvloei’ (translated it means: ‘the fountain is the life vein of the human. It is the eye out of which the water flows’). Throughout the day Captain Kraalshoek kept on mesmerizing with stories and visions that made the experience extraordinary. 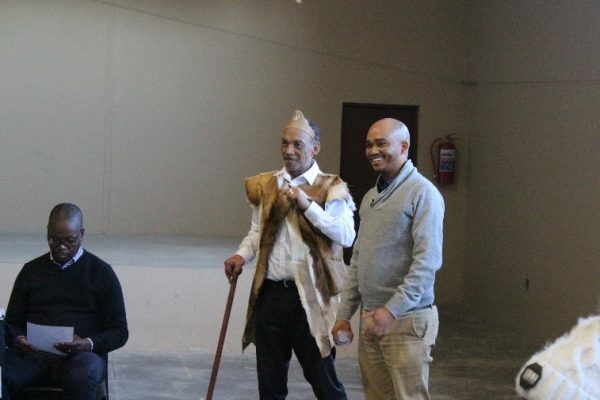 Part of the engagement included visited sacred sites including a spring well, where the Captain leads his fellow Griqua delegates every year to drink some of the water. They walked through the vast and beautiful landscape with its various historic landmarks dating back several hundred years. The visiting lawyers were shown a hill (koppie) at which there was rock art as well as half enclosures for cattle (kraals). 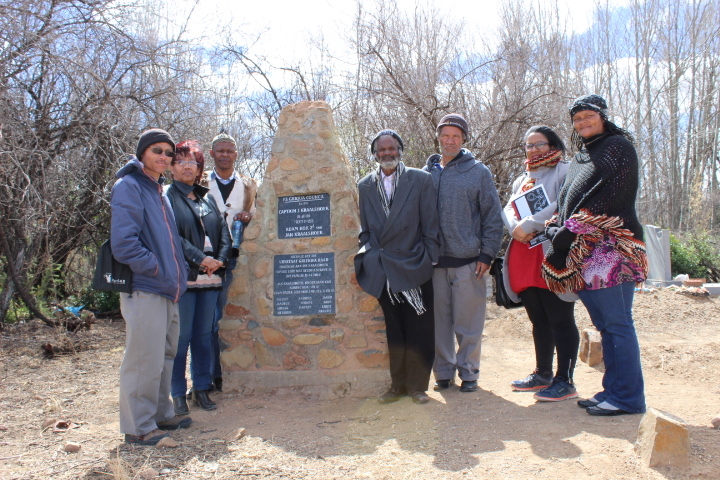 They also visited the gravesite of the ancestors of the Griqua people of Bethany dating back to the 1800s. The people have different ceremonies as part of managing their sites which also commemorates their ancestors and showing them that respect. 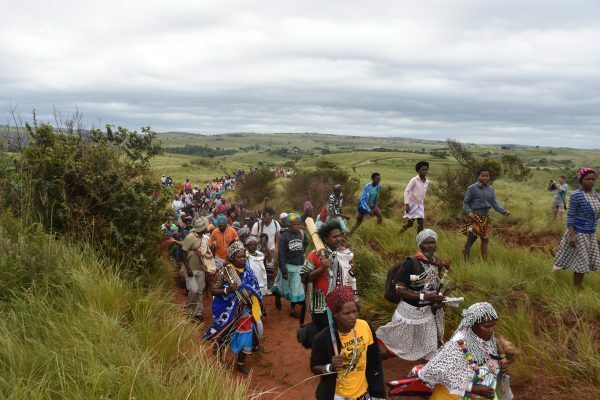 Their struggle continues for recognition of their ancestral lands and to protect their part land rights they obtained through the South African land restitution process. Natural Justice will be including their land struggle as part of its upcoming land conference affecting African indigenous communities.